Laundry day doesn’t have to be something to dread. The trick is to make it feel less of work – with smarter ways to sort, space-saving ways to dry and simpler ways to organize. And making it easier might just mean you can convince someone else to do it every once in a while. 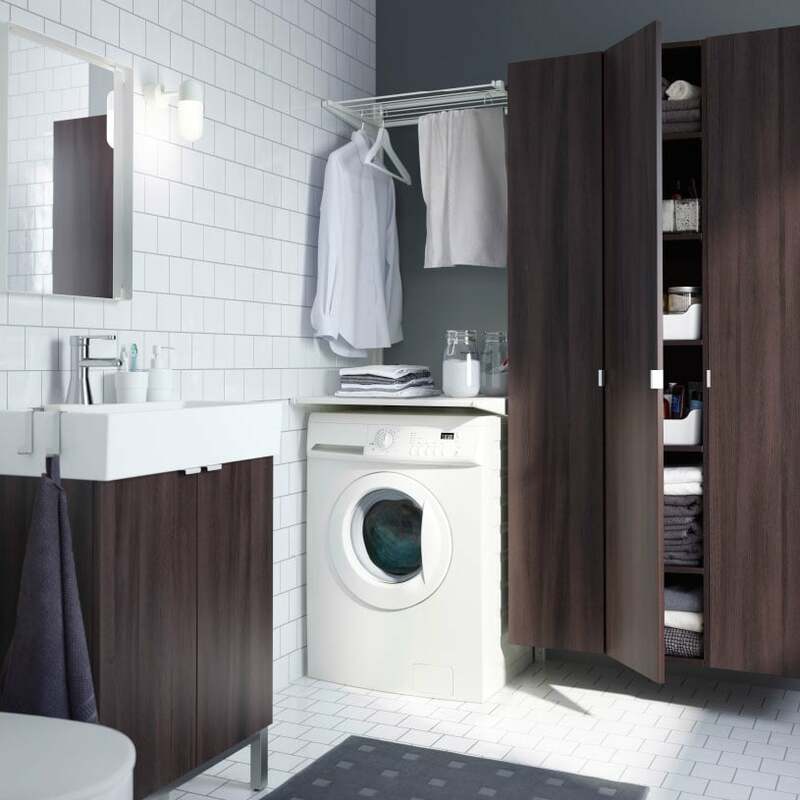 Finish the laundry while you refreshing yourself is such a brilliant idea to make the laundry day more fun. 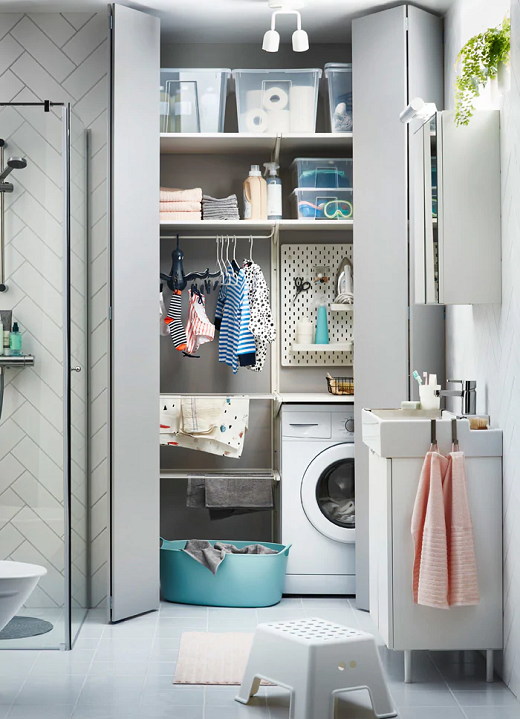 See how this business man combines his bathroom and laundry room to save more space and time at once. 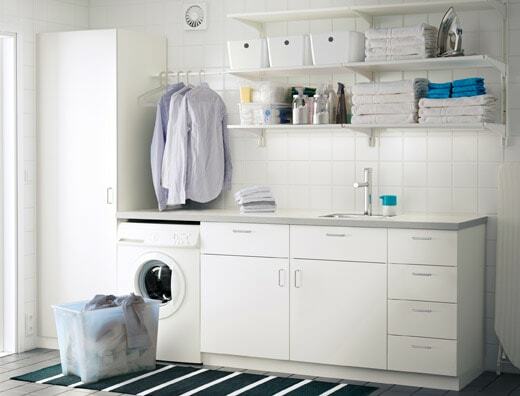 When you do laundry, you need a calm and tidy space to finish it in good mood. Let’s find the right drawer and wall shelves so you can make a comfy and organised laundry room.